The number isn’t backed up by any official labor statistics. 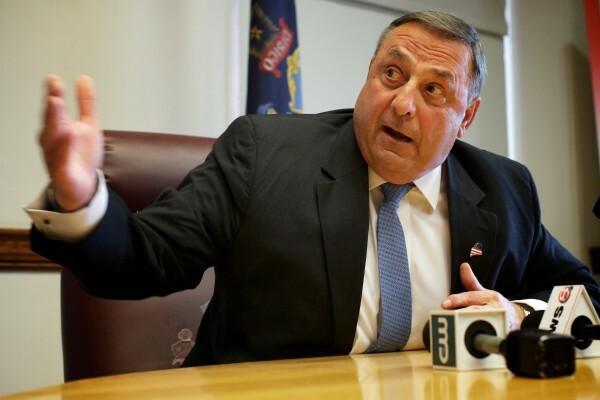 LePage’s communications staff didn’t directly respond to questions about where the figure came from, but said the governor’s comment reflected his concern about the number of Mainers on welfare compared to those holding jobs. The audio was recorded clandestinely during an event in Falmouth held by a conservative women’s group. The recording has been given to liberal activist and BDN blogger Mike Tipping, who has posted several clips in recent weeks from the reportedly 90-minute recording. According to the Maine Department of Labor, a bit more than 65 percent of Maine civilians over the age of 16 — about 709,000 — are working or actively seeking work. That leaves about 35 percent who aren’t doing either. However, that number includes not only “able-bodied” Mainers, but others who aren’t usually expected to seek work, such as the long-term disabled, seniors, retirees and full-time students. That figure is called the “labor force participation rate.” It’s calculated by dividing the number of workers and job-seekers, the 709,000 figure above, by the total number of Mainers above the age of 16, which the Maine Department of Labor places at about 1,085,000. The national labor force participation rate is slightly lower, at about 63 percent. The comment quickly received national attention, and was examined by outlets ranging from The Washington Post to MSNBC. LePage’s spokeswoman, Adrienne Bennett, said in a written response that the governor “understands that not everyone who is dependent on taxpayer dollars is ‘able-bodied,’ but he does believe that everyone, regardless of their ability or physical condition, can contribute to society in a meaningful way. “Liberal activists are determined to increase the number of residents who take tax dollars by expanding the size of government and the benefits government workers get and increasing the welfare rolls,” she said. Bennett also pointed to a 2012 report by the conservative Maine Heritage Policy Center that outlined a decade of expanding welfare rolls in the state. LePage’s 2014 gubernatorial opponents — Democratic U.S. Rep. Mike Michaud and independent businessman Eliot Cutler — quickly blasted the governor in an attempt to create a campaign issue by accusing him of spreading misinformation. Cutler called the remarks “patently false and insulting to the people of a state known for their work ethic and ingenuity.” He also took to Twitter, where he alluded to another “47 percent” remark that drew sharp criticism in a hotly contested campaign.